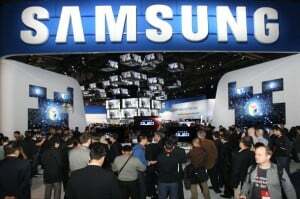 There is another Samsung event on the way as Samsung announced a new premiere for the Galaxy and ATIV portofolio. The event will be live streamed all over the world on the YouTube Channel of the company. Earls Court 2 from London will be the home of the event which will take place on June 20. We can expect anything if we think that we are speaking about Samsung. There are rumors which announce a new smartphone, Galaxy S4 Mini, a smaller version of the first product, but it is a possibility to see another new devices too. Samsung thinks about making more devices with the Windows Phone operating system but if this thing will be reality, we will have to wait for it. Nokia is the leader of the market with Windows phone system, but BlackBerry is close too. Samsung wants it all probably, so this is why they aren’t letting anything away. We will see what future will bring in the beautiful world of smartphones, but the market is favorable for Samsung at this moment. They will need to create more and more and I think the customers will choose them as they did before. However, only time will tell us about what the future can bring to us. By that time, you will enjoy the new products from Samsung.